On a tight budget and looking for a quality hunting backpack? This article will help you find the right hunting backpack for your needs without breaking the bank. 100 dollars is a tight budget for a hunting backpack but there are many good options in your price range. I was initially worried that I would have to settle for a mediocre backpack when I was looking for a cheap backpack but that didn’t end up being the case. All of the packs below are well made so you won’t have to worry about your pack failing you mid hunt. Why do I need a hunting backpack? 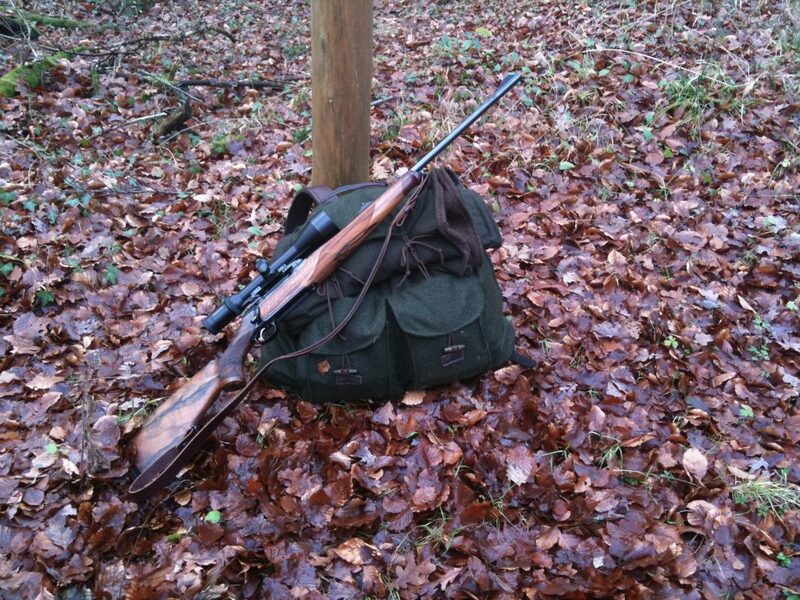 Unless you plan on carrying nothing other than your rifle, you will need a backpack to haul your hunting gear in. 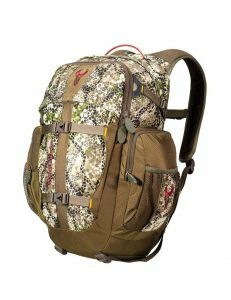 Can I use a backpack that isn’t designed for hunting? Yes of course you can and in fact if you are very new to hunting it is a good idea. That way you can get a better understanding of what features you will enjoy when you do decide to buy a backpack for hunting. What size hunting backpack should I buy? The size of your pack should be picked based on how much gear you plan to carry. If you plan on using it for day trips only, somewhere between 500-2000 cubic inches will be enough to carry all your gear. If you plan to use it for multiple days backcountry hunting then you should opt for a pack between 2500-6000 cubic inches depending on the amount of gear you will need. Who is this backpack for? This bag is a great choice for 1-2 day hunts. You will be able to carry whatever gear, snacks, and water you need in a day. With Badlands warranty, it will literally last you a lifetime. The Badlands Scout is the perfect choice for someone wanting to cut weight at much as possible. This pack is only suited as a day pack. It is my personal choice for day hunts. This pack is best for someone who likes to carry a bit more gear with them. It is probably best for 1-3 day trips but you can pack it full for longer hunts. Just don’t expect it to hold up well packing out meat. The ALPS Commander is the best pack for backcountry hunting for someone on a budget. ALPS uses an aluminum frame to keep the price down. It has a ton of storage for all the gear you could possibly need and the external frame will hold up well when hauling out meat. The ALPS Dark Timber is perfect for someone new to hunting that is looking for a hunting specific backpack and doesn’t want to spend a lot of money. This is a great starter backpack. Hard to beat this one for the money, highly recommended. Before you buy anything you should stop and think about how you plan to use the pack. It is worth taking some time to consider the features you will benefit from. Doing so will ensure you get the most bang for your buck. A top of the line hunting pack is expensive. One benefit of buying less expensive packs is that you can buy multiple. Over time you can tailor each backpack to the type of hunting you do. Price: If you are reading this article, price is probably important. Weight: Anyone who has done a significant amount of hiking knows how important weight is to consider. Hydration: Do you need a pack that has room for a bladder? Storage: What do you plan to carry in your pack? Do you want a pack that can carry your rifle/bow? Type of Hunting: Day trips, carrying supplies to your blind, backcountry hunting, these all require different types of packs. Frame: Will you be hauling meat or camping gear with you? Or do you want something lightweight for day hikes? Waterproof: Will you be hunting in wet weather? You may want to buy a pack with a rain fly. Will I be using the backpack for day trips or overnight trips? This is a question you must answer before purchasing your pack. If you plan to go on overnight hunting trips requiring camping gear you must get a backpack made for it. You should probably consider getting both a backcountry backpack as well as a day pack. How much water will I need to pack? A good rule of thumb to follow is a minimum of 2-3 liters of water per day. If you plan on strenuous hiking you will need more. What is the difference between a hunting pack vs. hiking pack? Backpackers typically use internal frame packs. If you already own a backpacking pack you can try it out for hunting. If it is an internal frame it may not be the best backcountry backpack for hunting but it will get you through the trip. For purely hunting, an external frame will probably perform better if you plan on packing out meat. What should I carry in my hunting backpack? A basic list of things to put in your hunting pack would include water, snacks, knife, flashlight, fire starter, first aid, and your license and tag. If you are new to deer hunting, checkout our article on how to get into hunting. If you have the budget and want to buy a high end hunting backpack you should consider Kifaru, Stone Glacier, or Exo. All three of these manufacturers make top of the line equipment. You can’t go wrong with any of these. Be prepared to spend $400+. When I first started assembling my collection of hunting gear, I was trying to do so without spending a lot. My first backpack was an ALPS Dark Timber. The pack worked great but as I hunted more I realized it was larger than I needed for what I carry. A lot of the hunting I do involves long day hikes and I was looking to shed any weight I could. After a few seasons I switched to a Badlands Scout. Since then I have adapted my pack depending on the type of hunt I am going on. If I am going on a multiday backpacking hunt I use an Eberlestock Team Elk Pack. With this larger pack I can carry all my gear as well as help pack anything I kill out. My point in telling you this is that you will likely learn what style of gear works best for your situation as you spend more time hunting. For this reason, I think the idea of purchasing a less expensive backpack to begin with is smart.